Having a good memory is a requirement in the electrician field. It’s also a big key when playing guitar in a band. For fifth-year apprentice Garrett Chetock, he puts his mind to good use to perfect his electrician craft and musical passion. When he was young, he started to gravitate toward music and his favorite instrument. Garrett Chetock is a fifth-year apprentice and an aspiring musician in a touring metal band. Chetock joined the band Elantris, and over the last few years has helped it grow to its current group. The band has toured across the United States and Canada. When looking back at the cities he’s played, one came to the forefront for Chetock. When he is not on the road, all of Garrett’s energy goes into his final year as an apprentice in the commercial electrician program at the Youngstown Area Electrical JATC. As he finishes up the program, Garrett is focused on one main goal. “I would like to get my journeyman’s card, and then from there, think about possibly continuing in education,” he said. Before joining the apprentice program, Chetock was working in a non-union electrician position. Chetock is grateful for the mentorship he has received from journeyman electricians he’s worked with. During his time in the program, Chetock has worked on installing electrical service at many high-profile sites in the Mahoning Valley, including Southwoods Imaging Center. With a family background in the building trades, Chetock feels it offers a better path for him than a traditional four-year university setting. 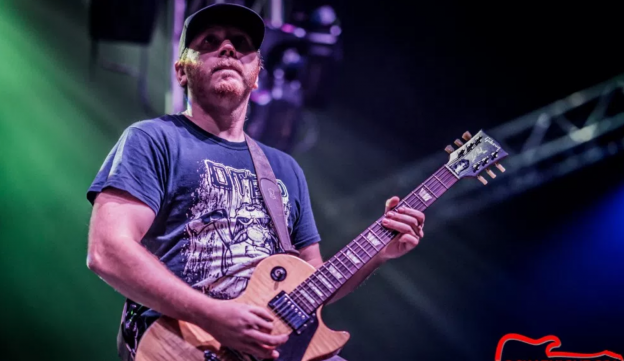 Whether it be relishing his electrical handiwork or expressing creativity in his music, it seems Garrett has found ways to live life to the fullest.